Yes, Napoleon, there is a complex. “Mascarathon” caught my attention. After reading this Napoleon Perdis ad, though, I realized how off-strategy that header is for what the company is trying to get across here: breadth of play. If the focus were only on making lashes longer, lash extensions or long-lasting mascara, the word would hit the mark, but do I really need a “wardrobe of mascara options?” How realistic is it for women to change their mascara during the day or from day to evening? Yes, we might re-apply, but not if it involved toting around more product. Napoleon lost, indeed. I want my mascara to multi-task; it should work as hard as I do. 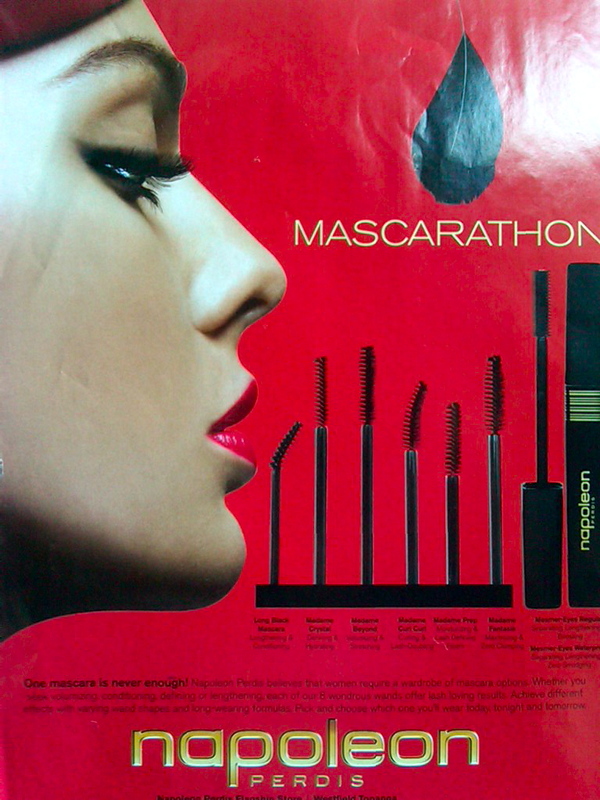 What the company was probably after with “Mascarathon” was the suffix “-athlon,” as in heptathlon and decathlon. Heptathletes and decathletes are versatile performers in multi-sport athletic events. They need different equipment and strategy for each competitive category, if you will, to achieve the desired results. Unfortunately, the –athlon suffix does not score well; it is clunky and hard to pronounce in combination with “mascar-.” Therefore, maybe the change to “-athon.” They were on the right track in fusing two word parts together, but a little verbal strength training would have improved the messaging angle. Flustered but batting an eye. I spy a word that starts with an “f….” Flirt & Flutter is a good evocative name. Initial “f’s” signal a sense of speed (fast, furious, frantic, flip, flash), goodness (fresh, fragrant, freedom, flavor, flush) and lightness (feather, flight, flicker, flury, float). Without any other cues as to the industry they’re in, the salon’s tagline leaves no doubt. The problem is they are trying to be more than what they are. What is it with this lifestyle thing? Just like everyone calling him-or herself an author, every company seems to be copycatting the lifestyle position. Most can’t even remotely deliver. At the very least, one tagline is enough. Next up is the domain. 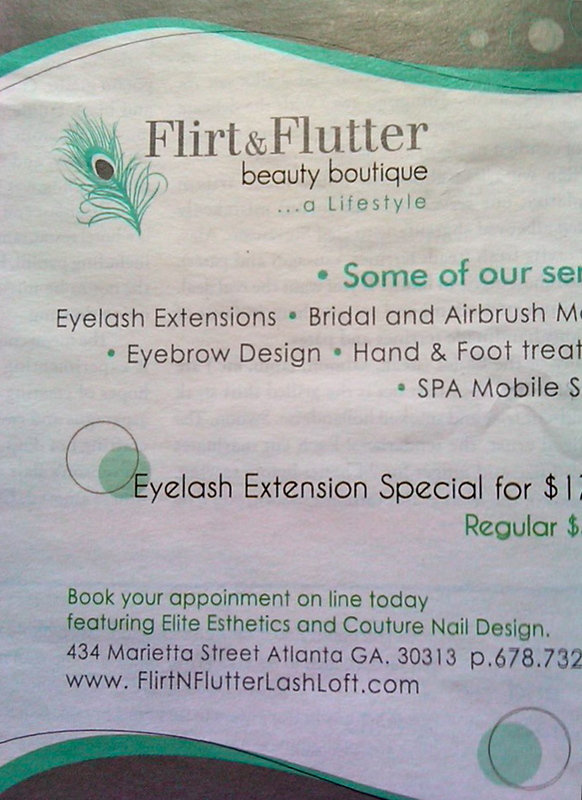 Either the domain lags behind what may have been a name change from “Flirt & Flutter Lash Loft” to “Flirt & Flutter” or “flirtandflutter.com,” “flirtandflutterbeauty.com,” “flirtandflitterlifestyle.com” and “flirtandflitterboutique.com” (as examples) were already taken. The domain, however, makes the “…a Lifestyle” all the more unbelievable. Trying to be the Sprite in a cola proliferation is not working. Hitting the nail on its head. Usually a good thing. The sign of hand-eye coordination. The hallmark of an experienced framer or roofer. Usually a solid sound. Yet, more often than not a woman’s nails are a snapshot of the world at hand. This time… crashed, damaged, shot, surging, shaken, fractured, severed, splintered, etc. You know, that giant breaking sound. The Feds need a demolition ball wake-up call. Meanwhile, over in the beauty department, give it to the industry for their relentless efforts to separate us from our wallets and common sense. As with distressed jeans, spending more to get less (using new math) yields a net positive. I prefer to just spend less, but that is, well, plain, not fashionable. On a messaging note, they’ve wasted a tagline. I see the name. Don’t need to cackle “Crackle” right below it. 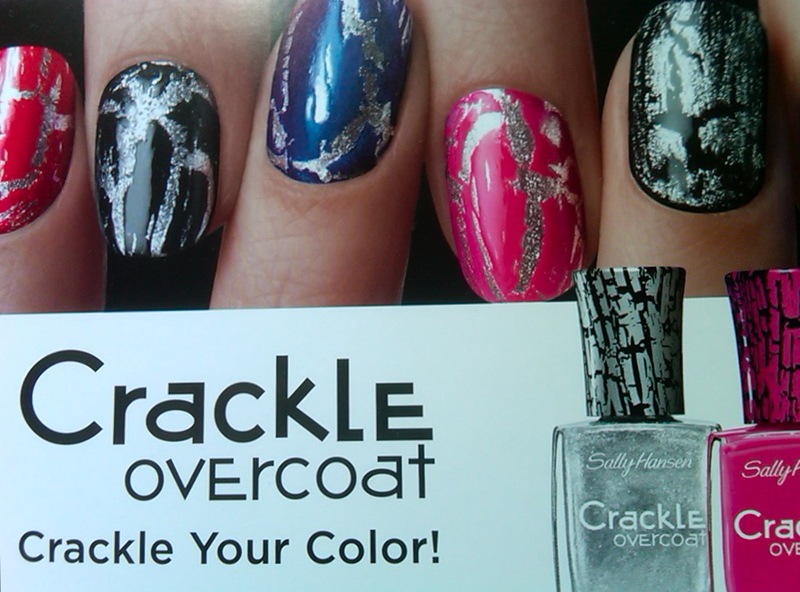 “Crackle” represents 40% of the words here. Otherwise know as dumbing it down. A round of applause for a new economic indicator. TFI for short.